Is humor a part of your workday—or trial strategy? “Strategically placed humor is something that is very important, and something, actually, we don’t talk about that much,” says Roberta “Bobbi” Liebenberg, a senior partner with Fine, Kaplan and Black in Philadelphia in an ABA Journal Asked and Answered: Lived and Learned podcast. Humor can certainly drive home a point and engage a judge and jury at trial, Liebenberg says. But a fun-filled workplace culture can also increase productivity and loyalty. “Research also shows that people who are humorous are consistently evaluated as more confident and more competent,” Liebenberg says. 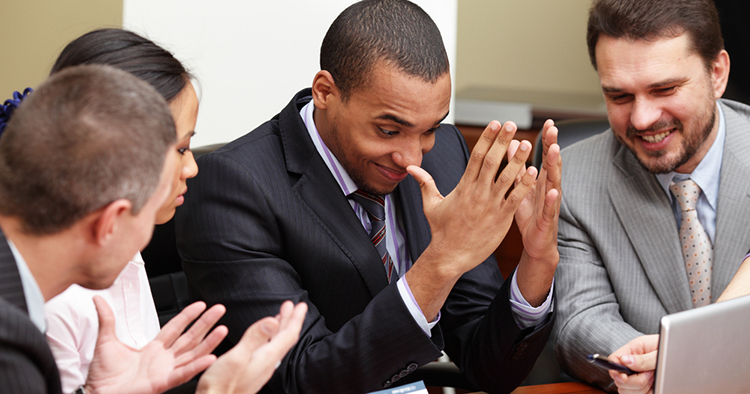 So this week, we’d like to ask you: Is humor a part of your workday—or trial strategy? Share some examples of how humor has won the day in court or helped you get through your workday. Read the answers to last week’s question: Have you experienced or seen gender-based harassment from judges or opposing counsel?